Tens of thousands of tons of waste are produced annually at festivals around the globe. In 2015, one large-scale music festival generated approximately 679 tons of waste over the span of just four days. 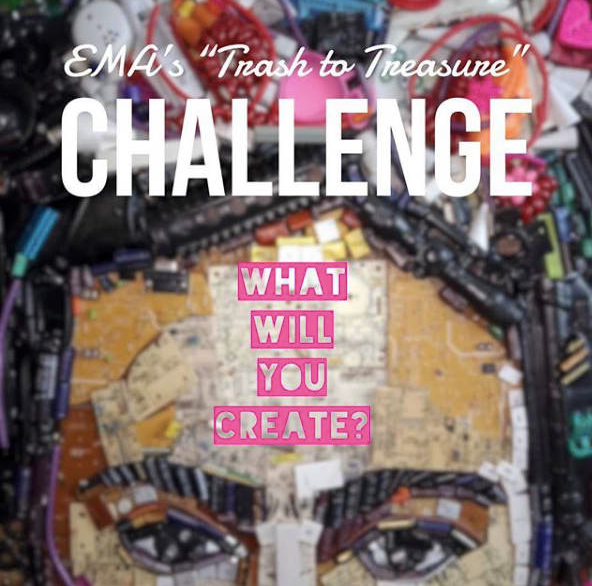 In support of their Annual Play it FWD Campaign, in 2018 the Electronic Music Alliance created the Trash 2 Treasure Challenge, a biennial initiative whose goal is to transform waste into impactful art. Fusing together ingenuity, sustainability, and eco-consciousness with music culture, the Trash 2 Treasure Challenge promotes conservationism in order to spread eco-awareness within the festival community at large. More than one dozen contestants took on the challenge, using recycled materials in order to create inspiring and impactful upcycled party fashion, sustainable wallets, and environmental advocacy projects. The “artivists” took on the challenge full force, developing ingenious and eco-conscious projects that inspired others to see their inherent artistic potential. According to EMA founder Janine Jordan, “there is an opportunity for art in everything.” Voted upon by a panel of revered industry professionals, judges for this year’s panel included Michael Kaliski, CEO and founder of Good Planet Innovation, an organization focusing on the conscious shift in global consumer behavior through the integration of sustainable, healthy and ethical brands, products, and behavior into major film and television content. Ken Jordan formerly of The Crystal Method who now serves as an eco-village pioneer and permaculture farmer in Costa Rica also served as one of the authorities on the panel. Other judges included Shana Nys Dambrot – arts editor for LA Weekly, Lanni Lantto – a widely known eco-conscious clothing designer, Phu Styles – “former” celebrity stylist and super blockchain authority, and Taryn Hipwell – one of the most prominent voices in eco-conscious fashion. Winners went above and beyond, taking creativity and eco-consciousness to a whole new level. The winner Caroline Palmer out of Costa Rica used leftover hoop tape and pouches from trash to create fashionable, festival-ready wallets. Runner up Nikkia Sipes created a chic festival ready outfit made out of old camping tents. While living in Hawaii our third place winner Star of The Mountain constructed an educational presentation to bring awareness and lifestyle choices as to how we can live in harmony with nature. Designer Jezabelle Von Jane (Silhouette House) and festival icon Tucker Gumber received honorary awards. Focusing on eco-conscious designer fashion, Jezabelle’s exquisite artistry used 100% upcycled materials in order to create couture Gigi/burlesque fashion. Widely known as the Festival Guy, Tucker promoted sustainability to the festival community at large in hope of activating mass change.